These Reebok Women's Black RB110 Jorie Non Metallic Slip Resistant Work Shoes are crafted from easy care leather. The material wipes up easily and resists wear, wet and weather that might damage the look. Because leather is so soft and flexible, it will feel great, ... (see full details) (see specifications) #RBKRB110. These Reebok Women's Black RB110 Jorie Non Metallic Slip Resistant Work Shoes are crafted from easy care leather. The material wipes up easily and resists wear, wet and weather that might damage the look. Because leather is so soft and flexible, it will feel great, too. Maybe they should call it easy wear leather instead! The story doesn't stop there. Look inside these Reebok shoes and you'll find lightweight Taibrelle lining. The tough material is durable, but breathable. Taibrelle gently wicks moisture from your skin to leave you feeling cooler, less sweaty and loads more comfortable. Feet use energy, and that creates heat. The light material in these restaurant shoes allows that heat to escape. Soft EVA foam was used to make the cushioning inserts in these soft toe shoes. The lightweight foam inserts have underside heel pads that absorb striking shock from every step you take. These lightweight inserts are perfect for these non-metallic shoes to keep you from feeling weighed down. Designed to be removable, the inserts are easy to clean for odor-prevention. EVA foam is a lightweight, airy material that bends and flexes to meet the specific needs of your feet. The low-cut, athletic oxford-style design of these women's Reebok shoes are finished with Sure Grip Plus slip-resistant rubber soles. Shock-resistant rubber keeps your steps well-supported, helping you bounce back from impact with every step. The Sure Grip Plus tread design helps your feet find traction even on wet, slick flooring and uneven ground. You need your steps to be steady, and you can stay confident in these black shoes to do just that in these with their slip resistance. But it's the 100% non-metallic design you'll love the most about these oxford shoes. There's no metal in these women's work shoes, so you'll never set off security alarms. They’re simply soft and comfortable all over, and these non-metallic shoes allow you to breeze through metal detectors without a lot of extra problems. What will happen when you wear Reebok Black RB110 Jorie Non Metallic Slip Resistant Women's Shoes? Your feet will stay cooler, more comfortable, and well-protected against impact and unsafe terrain. Your life is hectic and complicated enough. That’s why it’s so easy to wear these stylish Reebok shoes. If you liked the Converse C110, you will love these Reebok RB110 oxfords. I'd recommend these Reebok shoes for indoor activities. You can wear them outside only if it's hot and dry. They're not waterproof. The soles don't grip because they're not self cleaning. Dirt and mud gathers into the soles making it more slippery overtime. But they're very comfortable and breathable. They're also light and easy to move around. These shoes tops in internal features not on external. I kept wearing these hoping they would get more comfortable, but I cannot do it anymore. They make the tops of my feet hurt, so I will give them kudos for having support on the bottoms. They, however, are not non-slip. I work in a restaurant and I have already almost fallen several times and it was with very small amounts of water. They are also very heavy and clunky, like Frankenstein's boots. 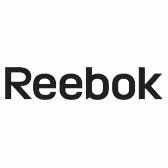 Reebok Shoes: Women's RB110 Jorie Non Metallic Slip Resistant Work Shoes is being added to your cart.